Why you should take more stairs in 2019. With the start of the new year, many of us will be upping our exercise game. Whether we like it or not, January reminds us that we can have a fresh start with fitness. So why not embrace it, feet first? From setting strict diets to signing up for pricey gym memberships, we often make resolutions that fail be a catalyst for sustained improvement. Last year, rather than setting an overambitious goal, I opted for something simple: take more stairs. I wanted to feel more fit, but take it one step at a time. It was one of best decisions I made and only resolutions I have ever maintained. Though modern infrastructure does not promote it, taking the stairs is incredibly easy to incorporate into daily life. Most of us are on autopilot, opting for escalators and elevators whenever and wherever available. I became aware of the constant choice I had to take the steps instead of a more efficient mode of transport – call it “stair mindfulness.” From the workplace to a friend’s apartment, from the shopping mall to the parking lot, we constantly have the chance to select the healthier alternative throughout our day. 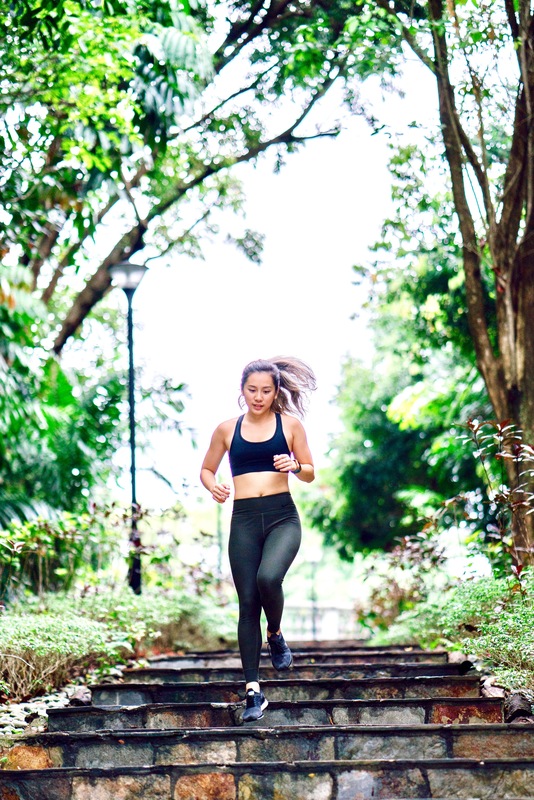 UK-based digital health and property business, StepJockey, explains the idea of the world as a gym and how it can become “alive” through exercise. If you limit your concept of what the gym can mean to only the physical building itself, you miss out on the playfulness that exercise can offer. As I embarked into this new hobby, I became aware of how intimidating stairs can be. From the awkward glances given to me by those on downward-moving escalators as I hiked up the adjacent stairs, to the former football player revealing to me that his coach deemed the StairMaster machine as “punishment,” the positivity surrounding stairs is slim. Nonetheless, I kept going, one foot in front of the other. The act of carrying the weight of your entire body vertically is what makes it so gravitationally grueling — and beneficial for our bodies. Harvard Medical School goes on to explain that stair climbing “helps build muscle strength and new bone. It also strengthens your heart and your lungs and releases heart-healthy hormones.” Increased muscle strength and bone density from this weight-bearing exercise can be an effective method of combating osteoporosis. Furthermore, I begun to appreciate how sustainable stair climbing could be. Its ability to seamlessly integrate into both indoor and outdoor living spaces allowed me to practice just about anywhere, even for only a few minutes. At couple steps at home, a couple hundred at the park and a couple thousand at the stadium, hunting down staircases became an adventure on its own. I also liked that climbing required zero training, set up or specialized gear. Best of all – it is totally free. Over time, I began to enjoy stairs so much that I took it on as a sport. Yes – stair climbing is an organized sport. Professional athletes compete at the world’s tallest and most iconic buildings, such as: the Empire State Building, One World Trade Center, the Eiffel Tower, the Taipei 101 and the International Commerce Center in Hong Kong. And if you are curious, elite racers climb anywhere from 1,500 to 3,000 steps, often crossing the finish line in under just 15 minutes. Despite burning calves and stale stairwell air, propelling your body upward, straight into the sky can be truly uplifting. If you are so inclined to take on the stairs, research your city’s public, outdoor stairways, as most private buildings will not allow climbers for health and legal reasons. StairMaster machines can offer a remarkable cardiovascular workout and tend to be easier on the joints than physical stairs. Remember to start slow and take it one step at a time. This upcoming year, I will compete in my sixth stair climb race for charity. I look forward to continuing this life-changing resolution far beyond 2018: take more stairs. So as 2019 begins, I encourage you to embrace your inner Rocky. The view will be worth it. 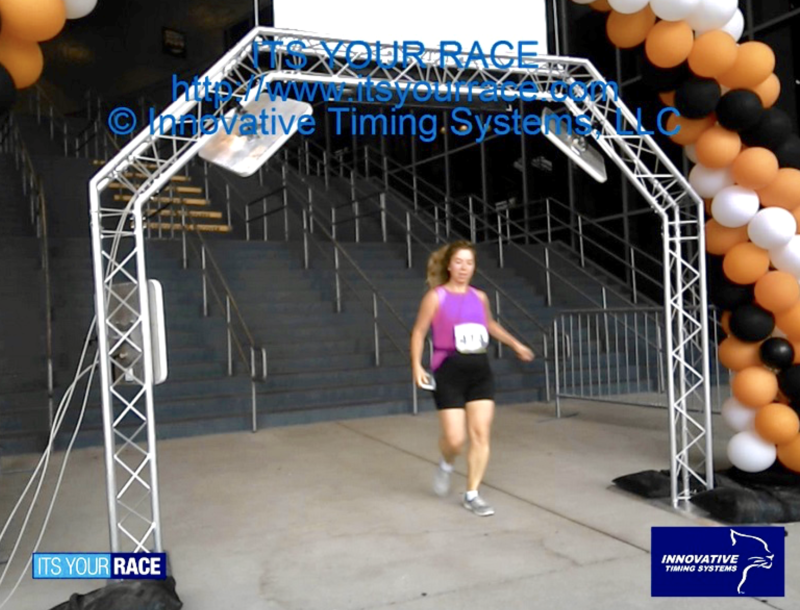 Carly Ettinger reaching the finish line at the Climb 4 Kidney Cancer race in Minneapolis, Minnesota, August 2018. Carly Ettinger is a trend forecaster and writer. Her experiences living and learning in Africa, Europe, the Middle East and most recently New York, have shaped her fascination with studying global shifts, consumer trends and the leaders behind them. In her free time, she enjoys engaging in non-screen related activities such as volunteering, exploring nature and competing in stair climb competitions.